The gift of sight is priceless. Yet, only half of an estimated 61 million U.S. adults at high risk for vision loss saw an eye doctor in the past year, according to national data collected by the Centers for Disease Control (CDC). 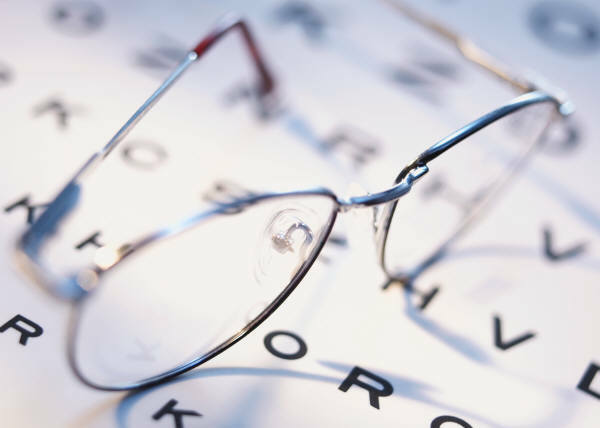 Many people cite cost or a lack of insurance as the reasons they skip their annual eye exam. Even people with health insurance often find it does not include vision coverage. While Affordable Care Act (ACA) qualified health plans are required to provide at least these essential health benefits, vision care for adults is not one of them. Unfortunately, skipping eye exams and ignoring your vision needs doesn’t solve problems; it only creates more. Here are some tips to help you maintain your eye health and your budget. Free eye care for seniors. EyeCare America provides a free comprehensive eye exam, glaucoma screening and up to one year of treatment for any problem found. Volunteer eye care professionals who work with this public service program don’t charge anything beyond what Medicare or your insurance covers. However, in order to qualify you must be 65 years or older and have gone without an eye exam for three years. Go to EyeCare America or call 877.887.6327 for more information and to see if you qualify. Try a non-insurance discount plan. These plans offer significant discounts (often 20% to 60%) on eye exams and vision products at in-network providers, optical chains and retailers like Pearle, LensCrafters, Target and Wal-Mart. Discount plans are very inexpensive and typically include savings on other supplemental services usually left out of health insurance, such as dental care and chiropractors. For a list of trusted companies to search for options in your area, click here. Use a Flexible Spending Account or Health Savings Account. If these options are available through your employer, take full advantage of these accounts. Contributions are made pre-tax, which is an added benefit. Just be sure you don’t leave money on the table. FSAs often have a “use it or lose it” provision that means account holders lose any money left in the account at year end. Keep your current frames. The next time you update your prescription and get a new pair of eyeglasses, try keeping your frames if they are in good condition. Sometimes frames can account for nearly half the cost of a new pair of glasses, so this can help to keep the price down significantly. Other ways to save on eyeglasses are to skip the designer brands and go generic, or you can ask your doctor for close-out specials and discontinued models which might not be on display and might be available at a lower cost. Eat for your eye health. Carrots aren’t the only food that can promote eye health and keep your vision sharp. According to the AAO, there are several foods that can benefit both your heart health and eye health, including: dark leafy green vegetables like kale; omega-3 boosting foods such as salmon and tuna; and vitamin C-rich fruits like oranges and tangerines. Check online for coupons. The website AllAboutVision.com offers discount coupons, free trial certificates and other money-saving offers on eye care products and services, which are redeemable with retailers and eye care professionals. You can also find doctors and surgeons, as well as helpful articles and resources for your eye health. And, check out other websites like 1800contacts.com for contact lenses that might cost less than what your eye doctor charges, especially if you buy in bulk.